Music is a great way to escape for a while and lighten the mood. Here are some ways to get great music choices for free. Keeping up good fitness levels is not just good for your waistline. It is a great mood elevator and protects us against heart attacks, strokes, diabetes and just about any other disease, too. Each decade as we age, we lose muscle mass more readily so including a weight program or weight-bearing exercise is important to include in your routine. Exercise can help keep our joints lubricated as well keeping cartilage damage and potential arthritis pain at bay. If you have fallen off the wagon keeping to an exercise routine or have not even started one, it happens to all of us! You may want to find out why I hate exercise sometimes. Want to just get on with it? Find this extra quick way to get in shape fast. First up, toss the cigs, cigars and those electronic things too!. It is the easiest way to age and make wrinkles and most importantly, shorten your lifespan or create disease. It is just as bad for those around you, too. Second-hand smoke is very damaging. Don’t miss this: Check out this post to make sure your sunglasses are doing their job to filter out the harmful UV rays. This site has loads of information on detoxifying your cosmetics. Here are 10 apps to tap into while on your shopping trips to determine if the choice is wise. Keep your makeup brushes clean of dirt with this easy breezy method to keep skin clear. Great blog..Its all about internal and outer care.I would prefer to feed my face with fruits and veggies and avoid sweets as much as possible and applying Dermology anti aging natural serum to eleimiates all signs of aging. Avoiding too much sugar is showing up on studies as an important part of staying healthy. Thanks for making that point. Great advice. I have started drinking plenty of water for youthful skin and along with it I have started using anti aging cream by lifecell and the results are amazing. Good for you, Melissa! Water and hydration are an important part for staying youthful! Drinking water is one of the best things you can do to keep your skin looking young and glowing over time. Staying hydrated promotes skin circulation and helps prevent skin repair from decreasing. So true. Proper hydration helps us look and feel best! I love your blog and all the healthy ideas. 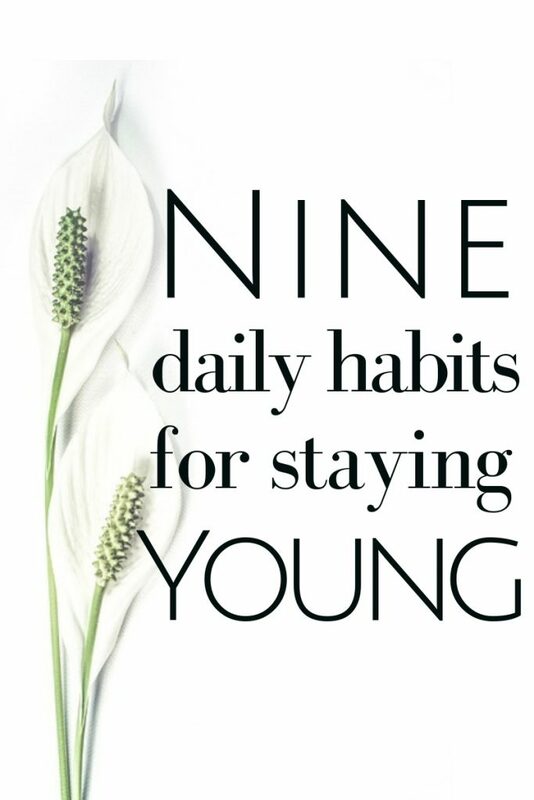 Anti Aging Ideas are always interesting to me even though the birthdays keep coming. Don't forget the Pinterest game tonight. I see you were one of the winners last week! So glad you found me! And, yes, even though we still feel 16, the calendar does not say so! Weird how that happens! Thanks so much! Delighted you are sharing it, Sarah. Nice to have friends' mothers help out with great advice! Thanks so much for swinging by! I firmly believe that prevention is the best remedy for a healthy, long life. 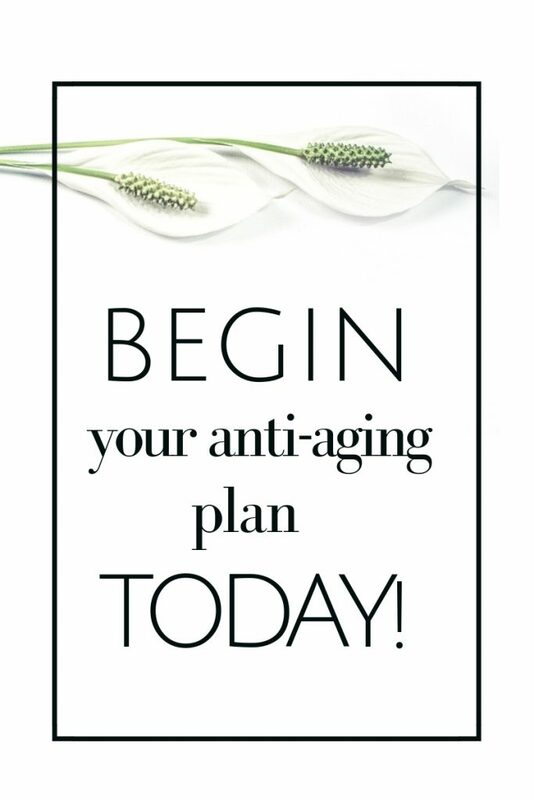 I too agree that we really don't need an "anti-aging program" because following a healthy lifestyle is indeed the best anti-aging program, so thank you for sharing this great anti-aging lifestyle tips with us on the Healthy, Happy, Green and Natural Party Blog Hop. I love that this post is full of helpful resources as well. I'm pinning and sharing. Thanks so much, Deborah. Happy to hear you clicked on the links as they do contain a lot more how-tos and tips to work towards your goals. Thanks for adding to healthy living on Fridays Blog Booster Party. The advice in your post is very good and mostly common sense, yet somehow we all need reminding to practice these things. The good fats message needs to get out more. People are either against all fat or don't know the difference between good and bad. You have a good message. I do hope you can bring us more wisdom next Friday. The links contain the more in-depth strategies and tips, Kathleen. I hope you got to tap on a few. Yes, you are right, the message on fats can be confusing! Thanks so much for commenting, I appreciate it. Beautiful tips. Life can be so simple and yet we make things so complicated. Lovely inspirational post. Thank you, Debbie. You have made an excellent point here and thanks for sharing it. I like your "Choose fats wisely" the best. My daughter has recognized that Salmon lifts her spirits. It's her feel good food. Not only is it jammed packed with good nutrients, it is super simple to bake. Yes, the omega 3s in salmon are showing promise for mood elevation! Thanks for telling your daughter's experience. Great advice! I, especially, like number one. I could go for a massage to keep me looking young. There are many areas on this list that I am working on being better at. Thanks for sharing your wisdom with us. Thanks for coming by, Kelsey! And absolutely – go for that massage! I agree with decreasing your stress level because that will age you really quick because I have seen it with some friends. Thanks for the article and linking up with WOW. Stress is a doozy! We all must find ways to decompress and find gratitude for what is going right! Thanks for adding in, Sheila. Thanks for coming by, Janelle! I know you have the exercise part down, thought! Ha! Great tips!! Thanks so much for sharing! Great! Glad you found them useful! Great info! I learned the hard way not to cut back on sleep to get things done. Make it a priority! Yes, sleep is a priority to feel and look our best. Thanks, Jill! It does! Those sunglasses can really help – make sure you read that post on finding a pair that protects them correctly. Thanks, Aimee! This was a perfect read for me today, Lori, as I've been feeling a bit stressed out! And coincidentally my husband was just giving me a shoulder massage! A weekly full body massage would be great, though. Now if only I lived in Thailand where it's super cheap! I am with you on that! It might be worth the move! Glad to hear from you! Hold on, Gingi! No worries as each chapter and decade hold good times and plenty of adventures. Since turning 30 I have been much more interested in skin care. I wish I had of started sooner. It's not too late! It is good you are aware now. Besides the English always have such pretty skin, I think! Launna, weight training is important for those bones and a few times a week can do it: Here is a basic one you could do at home: http://www.more.com/health/fitness/15-minute-anti-aging-workout-0 Thanks for adding in!